Facing a Gagnon? Do you have a Gagnon II hearing coming up? Is a loved one in jail for allegedly violating their probation? When a person fails to follow any of the terms of their probation they can be charged with violating probation (Gagnon violations). Judges feel disrespected when people don’t follow their orders. In Pennsylvania the probation department is an extension of the court and the rules of probation are considered court orders. If you or someone you love has violated the conditions of probation, you will need an experienced probation violation attorney in Scranton. If you or someone you know has been accused of violating probation call Shane Scanlon. Experience you can trust. Call Shane Scanlon Law today. Call Us anytime for a Wilkes-Barre Probation Violation Attorney. Searching for an attorney for a probation violation case in Scranton? If you are accused of violating your probation you can go back to jail or have your street time pulled. Shane Scanlon has handled hundreds of probation violation cases. Shane Scanlon Law is your Scranton criminal defense lawyer and can help you with your probation violation matter. Experience counts. 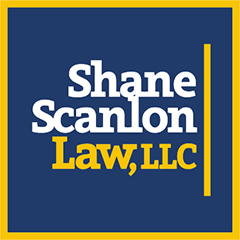 Call Shane Scanlon Law today.